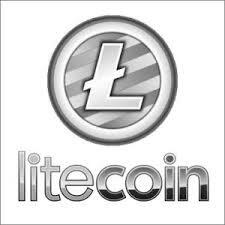 Litecoin was released on 7th October 2011 by Charlie Lee, a former Google employee. It was inspired by, and in many respects is nearly identical to, Bitcoin. This means the creation and transfer of coins is based on an open-source cryptographic protocol and is not managed by any central authority. Litecoin was a fork of the Bitcoin Core client but with a decreased block generation time (2.5 minutes), increased maximum number of coins, different hashing algorithm, and a slightly modified GUI. With ‘substantial industry support, trade volume, and liquidity’, Litecoin claims it is a proven medium of commerce with faster transaction confirmation times and improved storage efficiency than the leading math-based currency. In May 2017, it became the first of the top 5 (by market cap) cryptocurrencies to adopt Segregated Witness. Processing times – The Network aims to process a block every 2.5 minutes as opposed to Bitcoin’s 10 minutes. The developers claim this enables it to have faster transaction confirmation times. Proof-of-work algorithm – It uses scrypt in its proof-of-work algorithm, a sequential memory-hard function requiring asymptotically more memory than an algorithm which is not memory-hard. As a result, FPGA and ASIC devices made for mining Litecoin are more complicated to create and more expensive to produce. Wallet encryption – Before spending litecoins, you are required to enter a password. This provides protection from wallet-stealing viruses and Trojans as well as a ‘sanity check’ before sending payments. Mining reward – Miners are currently awarded with 25 new Litecoins per block, an amount which gets halved roughly every four years. The Litecoin network is scheduled to produce 84 million Litecoins, which is four times as many currency units as Bitcoin. Open-source software – Released under the MIT/X11 license, it’s software is released in a transparent process that allows for independent verification of binaries and their corresponding source code. Range of resources – General information and services can be found at Litecoin Wiki, up-to-date network statistics are available from Litecoin Block Explorer Charts, while GitHub is home to source code for Litecoin Core and related projects. In November 2013, the aggregate value of Litecoin experienced massive growth, which included a 100 per cent leap within 24 hours. The same month it reached a US$1 billion market capitalisation. Four years later, it’s market capitalisation was US$4,600,081,733 ($85.18 per coin). In December 2017, it went up again to reach US$20 billion with each coin valued at approximately US$371.00. But at the start of 2018, it fell sharply and declined to roughly half of its all-time high. When explaining the decline, many analysts emphasised the broader drop in cryptocurrencies. Other analysts asserted that it lost value as it followed Bitcoin lower, with the price of both currencies having frequently displayed strong correlations.